Before our summer tan fades, I'd like to talk about the place where we got our new exotic coloring - The Legoland Waterpark in Johor Bahru. 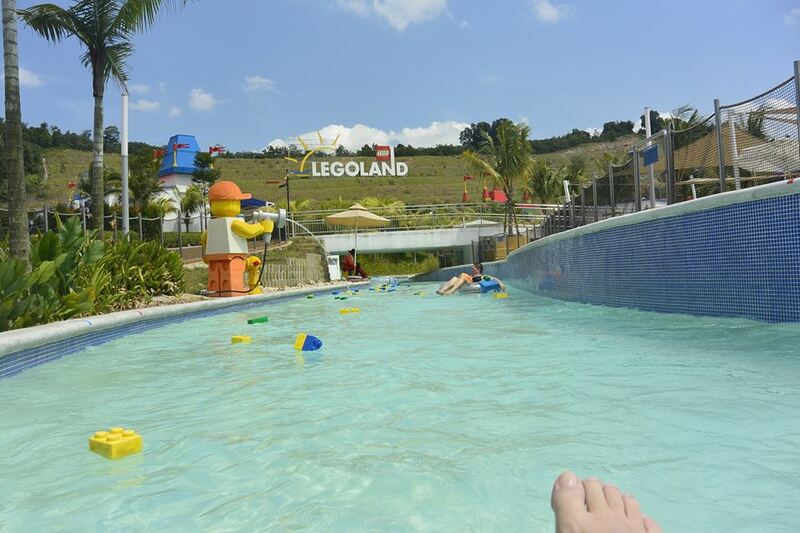 If you have the time for at least an overnight stay in Johor Bahru, Malaysia; you may want to avail of the combo tickets that Legoland has to offer. The combo tickets allow you entry into the dry and the wet park, at a much discounted rate. Tickets are 20% cheaper too if you book weeks ahead, online. For ticket details, please click on this link. 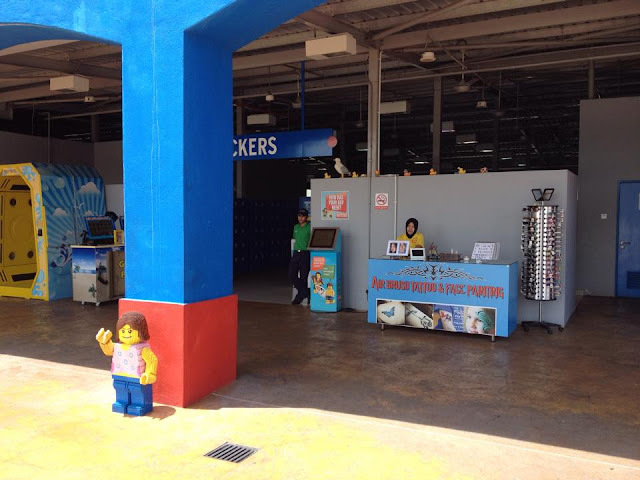 According to the Legoland staff at the gate, Johor Bahru (JB) is known for it's odd weather, were it could be sunny moment and raining with thunderstorms, the next, most especially in the afternoons. 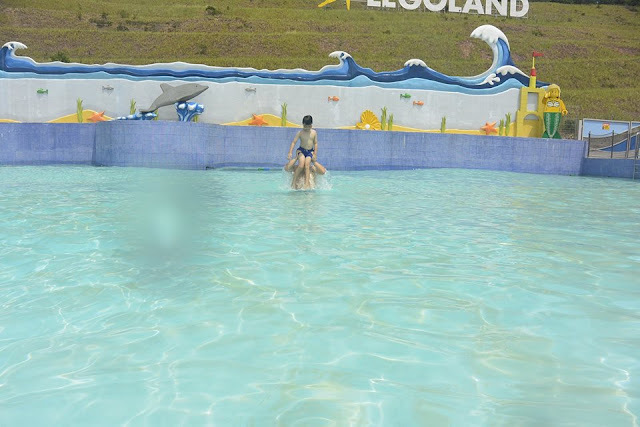 He advised us to head out to the water park first and go to the indoor displays that Legoland has to offer, should it rain. Fortunately for us, the weather was just hot, hot, hot! Imagining that a freak thunderstorm might occur, Phil, MAX and I got checked out the Star Wars exhibit and the boys got a nice rollercoaster ride in, before we went to the gate at the side of the theme park to enter the Legoland Waterpark. As early as now, keep your tickets on hand if you plan to re enter whichever park. 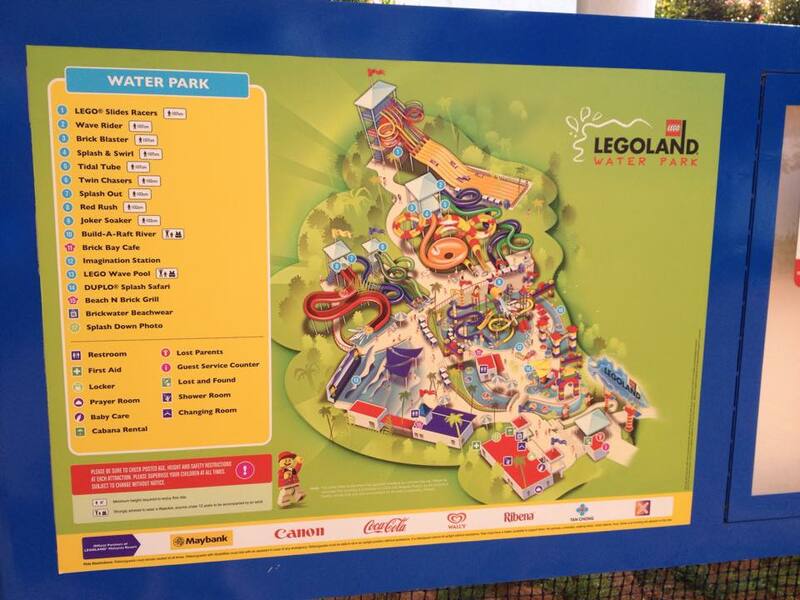 To give you a brief idea of what this waterpark is all about, FYI, it is the world's largest Legoland Waterpark. 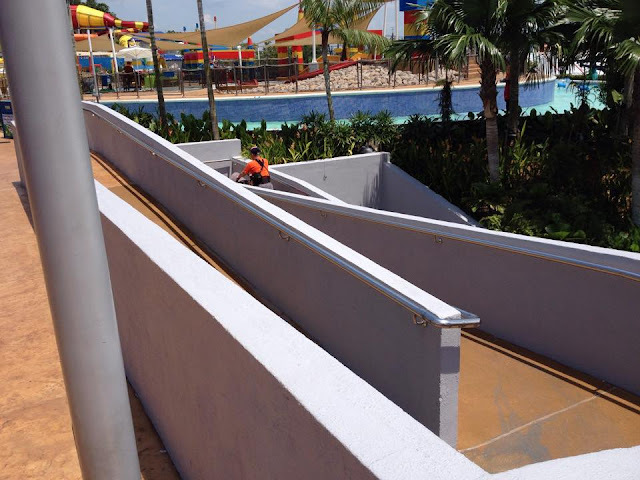 It has around 20 thrilling slides and has more than 70 Lego models spread around the park. 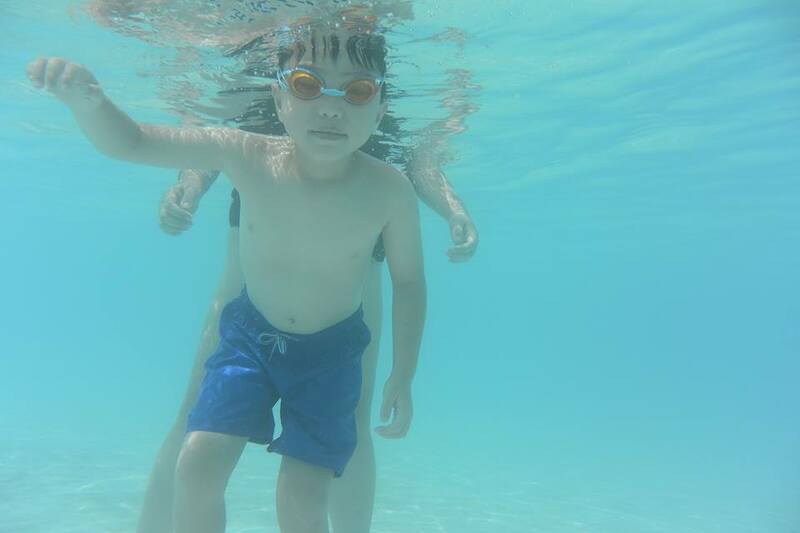 For younger children: Moms and Dads, worry not about bringing life vests for your kids. The Legoland Waterpark has all these on hand, in various colors and sizes and are free for use inside the park (this means you can't bring it home). Life guards are stationed everywhere too. Anyway, for the younger kiddies, this park has the Duplo Splash Safari (5 year old and blow only), where there are shorter slides and interactive, kid sized Duplo figures. Since none of us belong in this age group, we enjoyed the other areas instead. 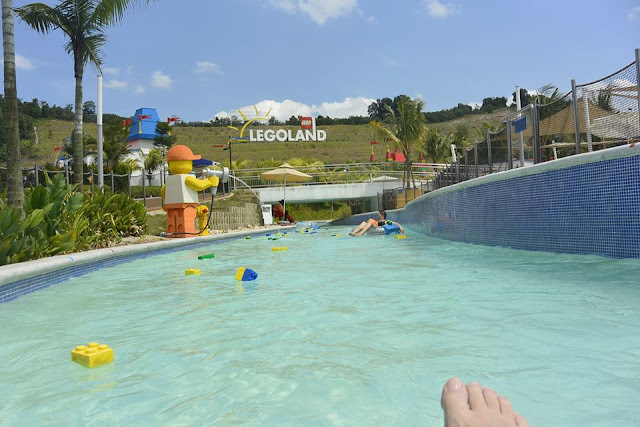 For older kids: There's the Twin chasers (Two side-by-side enclosed red tube slides that stretch nearly 130 feet and pour into a wading area below), the Lego Slide Racers (Race down the slides with 5 others on a mat and see who reached the fastest. 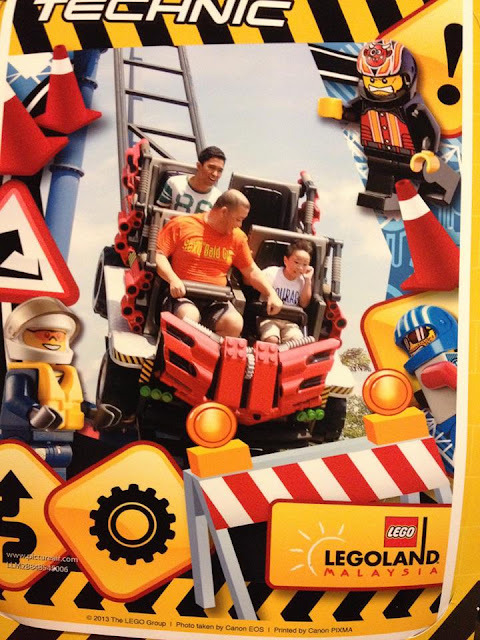 A thrilling ride for the whole family.) and our favorite, the Red Rush (A family tube slide where up to six (6) people can ride together down a 312-foot-long curving track on an 11-foot in diameter half pipe). After all the swimmin and splashin, I'm sure you'll be hungry and thirsty in no time. RIght beside the Lego Wave Pool is the beach grill. The Nasi Lemak and Roast Chicken plus the chicken nuggets and fries were great meal options. Phil's fried chicken was just blah. Too much overcooked breading and uber dry chicken meat was something we didnt expect. Based on experience, Malaysians seriously know their chicken. Near the Joker Soaker is the Brick Cafe. By this time, I was dying for a cup of Ribena AND ice cold Milo. I tried this prawn thing, which, from the time I started to the time I finished snacking, was a flavor I could not find. BTW, Food and drinks brought from the outside aren't allowed in the park. the alleged "deep fried prawn "
Just in case you forgot to bring your towels, swimwear, sunblock and cooling lotions as well as protection for your tech, head on out to the Brick Water Beachwear shop. Of course, other Lego merchandise and the bricks as well are available. BTW, don't expect anything to be cheaper than the prices you see at the malls. Despite the fact that there were no lines in the rides, as it was exams week for the folks in Malaysia and Singapore, we enjoyed our waterpark visit over that of the theme park's. 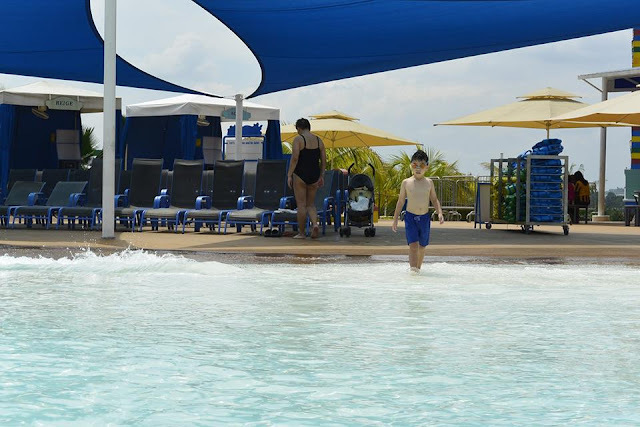 Not that the latter was bad, it's just that the heat in the mostly unshaded park (hope they plant more trees around in the near future) was made tolerable by all the water activities. To each his own I guess. Oh and just in case you're wondering, there are big and small lockers available for rent at the Legoland Waterpark. There's a long, long stroller ramp to after the entrance so I guess it's stroller friendly and the showers and facilities are clean. No hot showers though (They do have liquid soap in the showers) or swimwear dryers and hairdryers. There are those dryer pods though, but you'll have to be wearing the clothes to dry em (hot hot hot in the JB heat!). Cabana's with two recliners, a mini fridge and a fan are available for rent as well. The flaps close around, giving you shelter from peeping eyes and the glare of the sun.